Raise money for our students by shopping at many local stores you probably already regularly shop at! Set up these shop and earn programs once, and these stores will donate a percentage of proceeds every time you spend. BoxTops, Amazon Smile, Heinen’s Grocery Store Savings Card and MightyNest are programs that give back to our school. Refer to the Romona PTA website for further information - http://romonapta.org/category/shop-earn/. 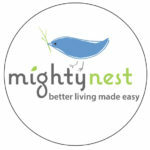 When members of our school community become members at MightyNest.com, they will donate to our school every month they receive a member shipment. Members of our school community can choose from any of the popular memberships including the MightyFix, MightyBody, Moon Pack, and Build Your Own Box. All Members will receive free shipping and up to 30% off hundreds of member specials – hand-picked household essentials that are better for their health and the planet. 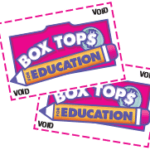 Clipping Box Tops for Education is easy and fun. We earn 10¢ for each top you clip. Each month, each grade’s contribution will be tabulated and charted. Can your grade win the trophy for a month? Link your Amazon account to Romona and donate to the school every time you shop! Click here for more information! Donating to Romona can be as simple as shopping at the grocery store! When you link your Heinen’s Tasteful Rewards Card to Romona with the Teaming Up for Education Program, Heinen’s donates to Romona! Please log in to your rewards account every April to select Romona as the recipient of the donation. The selection needs to be confirmed every year.